According to the latest employee engagement survey, 24% of City of Edmonton employees report being harassed at work and about 26% say they’ve witnessed harassment or descrimination taking place. That’s an increase from 2016. “I’m not happy with the results,” said city manager Linda Cochrane. It finally happened! Oilers GM Peter Chiarelli was fired this week. 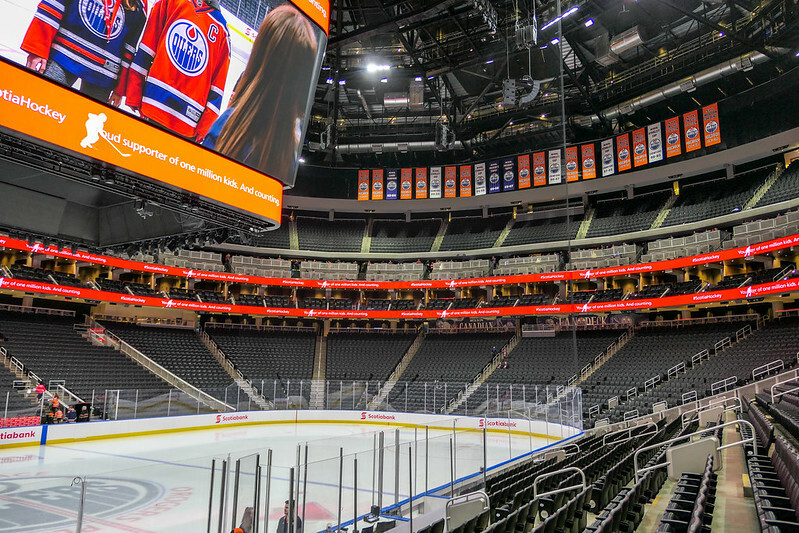 “But ousting one or two employees or benching a player will not fix what ails this franchise,” wrote the Edmonton Journal’s editorial team. Also be sure to check out this incredible piece from Oilers Nation: Doing nothing would have been better than following Chiarelli’s plan. With more than 8.2 million passengers served, 2018 was the best year ever for the Edmonton International Airport. That’s a 5.8% increase over 2017. The City says making collision data available in the open data catalogue would violate provincial privacy laws, though Calgary is able to make their data available every ten minutes. I’ glad for Conrad Nobert’s work on this file, and I really hope Council pushes back. The Government of Alberta, in partnership with the City of Leduc and the Edmonton International Airport, is building a new $33 million interchange to connect 65 Avenue with EIA’s Perimeter Road. Somehow this interchange, which unless I’m missing something is a road for vehicles to travel on, is expected to generate “$600 million in investment growth” and “4,300 permanent, multi-sector jobs”. The Edmonton Shift Lab is now recruiting its 2.0 Core Lab Team to address the question, How might we create better anti-racism interventions that acknowledge everyone’s humanity and create behaviour change? The Lab starts in March and runs until September. The City has launched the Home Energy Plan program to enable homeowners to receive an extra 20% money back on home energy evaluations and retrofits. CBRE Canada’s Q4 2018 report says Edmonton’s office market has seen the highest demand since 2012 thanks in part to three “trophy” buildings. The downtown office vacancy rate was 18.2% at the end of 2018. Ryan Smyth’s home is on the market and it can be yours for just $7.75 million. Smyth and his family have moved to a suburb just outside Nashville. Council voted to keep going with the calcium chloride pilot until the end of the winter. Are you ready for electric scooters and e-bike share programs in Edmonton? The Edmonton Career Fair & Training Expo takes place on Tuesday at the Edmonton Convention Centre. The Edmonton Chamber of Commerce is hosting Your Future in Energy Efficiency on Tuesday afternoon. The FarmTech Conference runs Tuesday to Thursday at the Edmonton EXPO Centre. RECOVER, Edmonton’s Urban Wellness Plan, is hosting a community workshop on Tuesday evening at Trinity Lutheran Church. Ice on Whyte‘s second weekend runs Thursday to Sunday in Old Strathcona. The Arkells are playing Rogers Place on Thursday evening. The City is hosting an Imagine Jasper Avenue Information Session on Thursday night at Oliver School. ATB presents Tech on Tap: Disrupt or be Disrupted on Thursday evening at Situation Brewing. Flying Canoë Volant runs Thursday to Saturday at Mill Creek Ravine and La Cité Francophone. Rogers Hometown Hockey is at the Leduc Recreation Centre on Saturday and Sunday. The 2019 Chamber Ball takes place Saturday evening at the Edmonton Convention Centre. Paul Brandt performs at Rogers Place on Saturday evening.